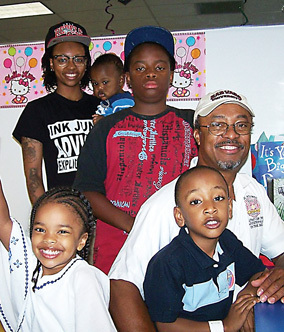 Fathers share wisdom on being a role model, spending quality time and much more. 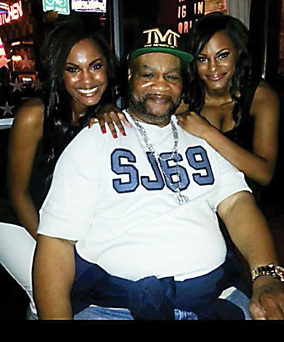 Eddie Mustafa Muhammad with his daughters. 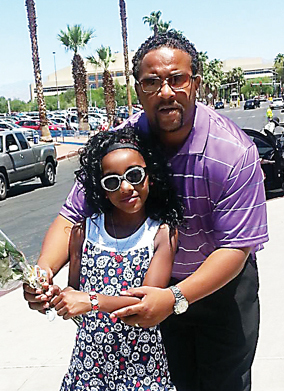 Eddie Mustafa Muhammad, Triple Crown Boxing: Every day is Father’s Day with my kids at home with us. I am treated like a king. My wife, children and even my grandson treats me like a king. I would define a good father as someone who is always there for his children and his wife. Being there is the most important thing. Travis Buchanan and his daughters. Travis Buchanan, Esq., Henderson City Attorney’s office: My dad and I were best friends. We were very close. Every Father’s Day, I made it a point to spend some one-on-one time with him. I would plan for us to go on an outing that day, before I share him with my siblings and other people in the family. We would do the male bonding thing by going to lunch together to talk about life, career and getting tips on being a good father — because as a father, you wear so many hats. A man will find himself being a husband, son, uncle, father and friend — and trying to be the best of those things. We would always talk about positive things [concerning] African-American males. I would add that a good father is someone who is a friend, but can be stern and use discipline when warranted. He should be a good role model, a leader and someone his children look to for leadership. Having my dad made me a more confident man. So, now that I no longer have him, I am trying to instill confidence in my children. Chris Hatter and his daughter. Chris Hatter, occupational therapist/entrepreneur: My most memorable Father’s Day was when my baby girl was born six months ago. Now I am a father for the first time at 41 years of age. My baby is so awesome and I have been waiting on her arrival for 15 years. The wait was well worth it. I would tell young African American males who are new fathers that, no matter what is going on, you have to be there for your child — because the relationship a child has with their dad affects them for a lifetime. Be there for your child no matter what. 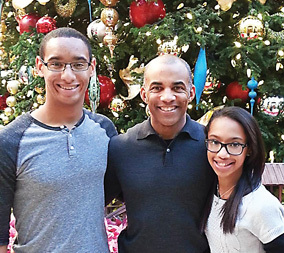 David Washington with the children in his life. 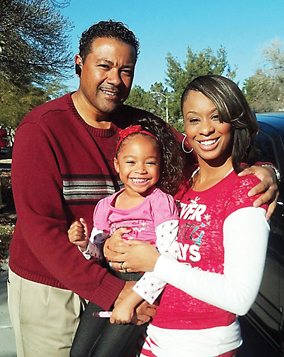 Dave L. Washington, former city of Las Vegas fire chief: All of my Father’s Day celebrations have been great. The one that really stands out is when my grandchildren, who are between 6 and 9 years of age, prepared me breakfast. That was really great. We always have a great time at home with all my children and family — and I love it. To me, a good father is one who stands up and takes care of his responsibilities. Sometimes parents fall apart and break up, but I think a man should still take care of his children financially and emotionally. This is a big deficit in our ethnic group, and might be one of the reasons many of our girls and boys are headed to prisons — because fathers are not involved in their lives. Sylvester and Symmie Mitchell, and their daughter. 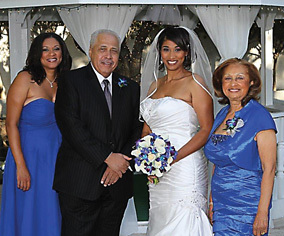 Sylvester Mitchell, insurance broker/agent: Last Father’s Day was my most memorable — because I celebrated with my wife and daughter, with a day of worship and love. It was a day when I found out I could continue being a father to my daughter, who had to have surgery. The healing grace of God made the surgery successful, and my daughter is still in the land of the living. I would describe a good father as someone who transfers the nurturing from God’s fatherly love and places that on his children. The love and nurturing of the Father, our Lord and Savior, can be incorporated into our families. I would encourage anyone who does not have their father with them to look upon the Lord — because he is “the father to the fatherless.” Know that he loves and will protect you. 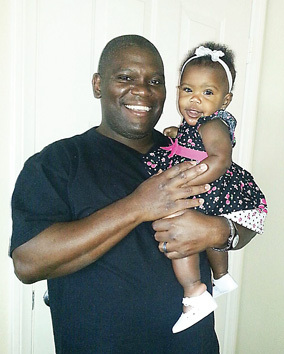 DeLouis White II with his daughter. DeLouis Enzo White II, professional photographer: The most memorable Father’s Day for me was when my son, who was 10 years-old at the time and lived with his mother in Texas, made a surprise visit to see me. Nobody told me he was coming, I just came home from work and noticed when I entered the door that someone was sitting in my chair. I thought it was my 9-year-old daughter’s friend and I went into the kitchen and then told them to sit in another chair — because everyone in the house knows that’s my favorite chair. My son turned around in the chair and just had a huge smile on his face. I almost fell to my knees, because I hadn’t seen him for a couple of years. It was truly one of the best Father’s Days ever. I would describe a good father as someone who is unselfish. It took me a long time to realize that, because when I was younger I wanted to still pursue some of my dreams. But I learned very quickly that my children are the priority — and sometimes you might have to put your dreams on hold while you help your children follow their dreams. 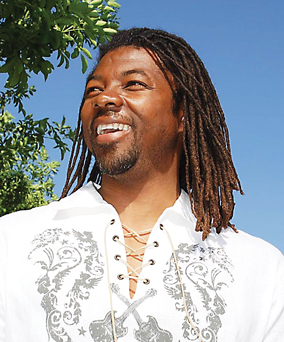 Malcolm Brooks, filmmaker: A good father is someone who is dedicated to their children and spends time with them. It is very important to have positive interaction with your children. Face-to-face and personal time is special to share with your children. A great father trains their child up as to which way they should go in life. And helps them understand life and the direction they wish to go. 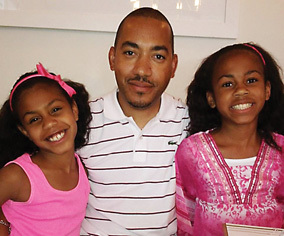 André Gray (center) and his children. André B. Gray, personal banker/pastor of The River-A Christian Church: I will always remember one Father’s Day in particular: When my stepson, Brandon, wrote me a card and shared how much I meant to him. I raised him since he was 5-years-old, and … he is my son. Now, he is 19 and in college — and when he gave me that card, he thanked me for raising him and for loving him and his mother. Fathers that have their priorities with God straight are the best. Remembering the word of the Lord that says, “to honor your spouse and family,” is very important — and it keeps you rooted and gives life balance. I have the ability to be a friend to my children and to guide them. I also always remember my wife’s needs. The secret to being a great father is to lean on God and let him direct your path. Don’t allow life to interfere with family. 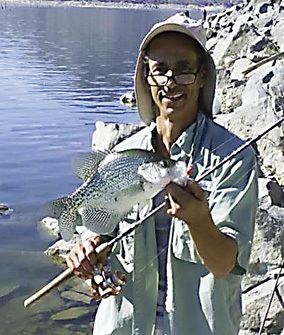 Elbert Braud, entrepreneur (Funnel Cake Café): I remember spending time fishing with my dad on the lake on Father’s Day, the year prior to him falling ill. It was a great time, and one I will always remember. When I think about what and how a great father should be, I would say it would be someone who is a carbon copy of my dad — who showed unconditional love to everyone. He was easy to talk to, and always there when you needed him. He was non-judgemental, caring, good-hearted and fun. He was loved by everyone. Louis Overstreet and his family. Louie Overstreet, author and historian: As I reflect on the Father’s Day that stands out in my mind, it would have been the time that my duty as a father was affirmed during a family dinner. About five years ago was the first time in years that my daughters, Lori and Piper, my wife, JoAnn, and I were all in town on Father’s Day. Our daughters took us to dinner, and the conversation centered on how they view life. At the time, they were in their early thirties — and the beliefs and values they shared matched up beautifully with the ones I believed a father should instill in his offspring. It certainly was a relief to learn that they were practicing what I preached, as a loving and responsible father, during their formative years.